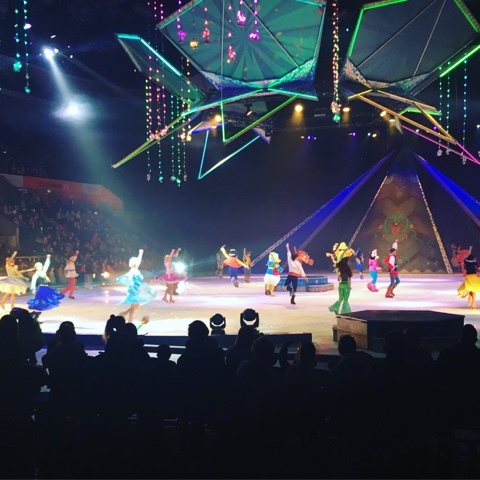 Last weekend we went to see Frozen on Ice, the latest production from Disney on Ice and it did not disappoint. 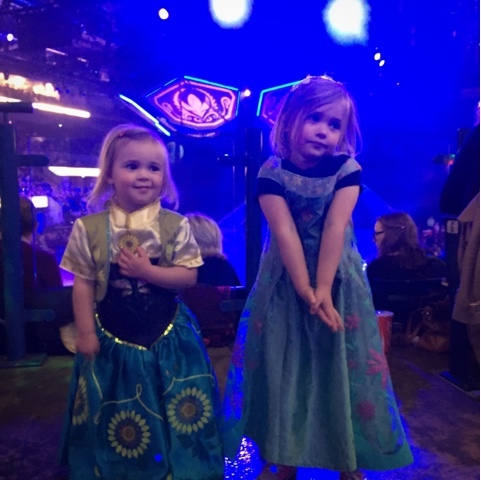 The little ladies absolutely love Frozen and were so excited to see one of their favourite Disney movies brought to life on the ice. 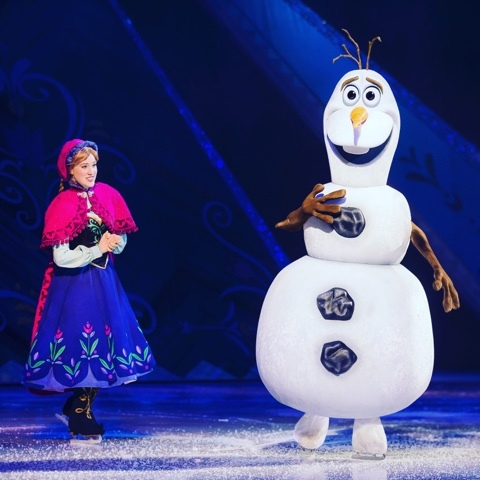 There is no better Disney film for a Disney on Ice show, being mostly about snow and ice it translates beautifully into an ice skating performance. The show is opened by a Fit to Dance warm up act which the girls really enjoyed joining in with and they were so delighted when Minnie and Mickey Mouse made an appearance to begin the story. 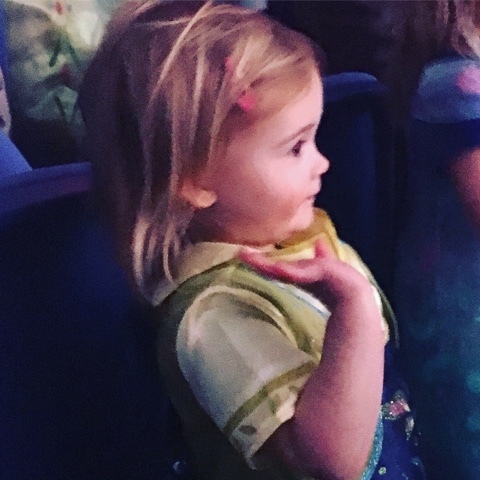 Their little faces lit up as Snow White, Cinderella, Ariel, Rapunzel, Goofy, Donald and Woody and Buzz joined them for an amazing introduction of what to expect from a Disney on Ice show. The performers really engage with the audience waving to the crowd and performing to all sides. There were 4 platforms around the edge of the ice which the performers regularly go to so that everyone gets to see their favourite characters. The wonder on the little faces was enough to make me well up as a parent. 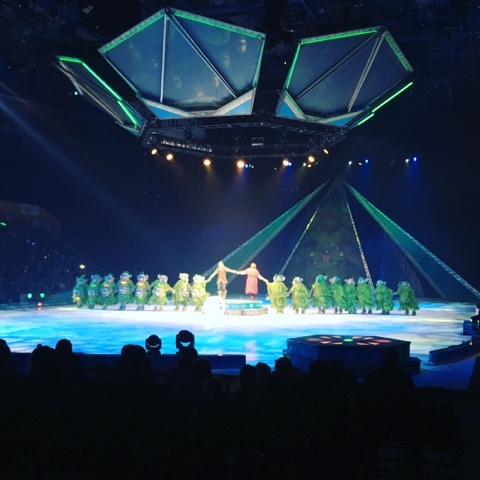 Everything about the show is spectacular, the skill of the performers is amazing and the little ladies were in complete awe at the characters dancing and twirling on the ice. The set, lighting and special effects are dazzling and really take you to Arendelle, the North Mountain and Elsa's Ice Palace. The costumes and choreography are incredible particularly Sven the reindeer which the little ladies thought was hilarious along with Olaf. The show features all the songs from the film and the girls sang along at the top of their voices and danced along which was just so lovely to watch. I kept looking at their little faces throughout the performance and it was just magical. They just couldn't believe they were watching Elsa and Anna and all their friends and completely immersed themselves in the experience. 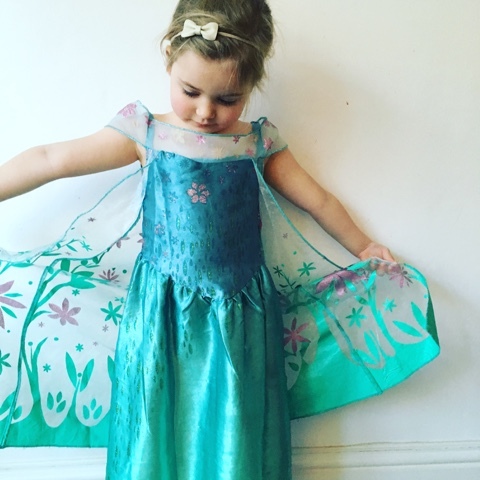 There are too many favourite bits to mention and there are surprises that I don't want to spoil but one of the most impressive parts for me and the girl's favourite bit was Elsa's show stopping performance of 'let it go'. The whole arena was singing along and with snow falling it was truly magical watching Elsa glide along the ice. One of my favourite scenes was when Anna and Kristoff visit the trolls after Elsa accidentally strikes her with her ice magic, there was so much colour and 'fixer upper' is such a fun number. Although cold in the arena (Oli and I had coats and bobble hats on which I'd recommend you take!) the girls didn't feel the cold and wore their Anna and Elsa dresses for the show. They even ate ice cream during the interval which seemed really fitting with the Frozen theme. The show was 2 hours long with a 15 minute interval and age 4 and 2 Miss Boo and Miss Tibs sat captivated the whole way through. As an adult it was equally amazing to watch and Oli and I both loved it too. This was our first Disney on Ice experience and we thought it was fantastic. I'd recommend it without hesitation to any little or grown up Disney fans. It was such a lovely thing to do as a family, particularly in the lead up to Christmas. 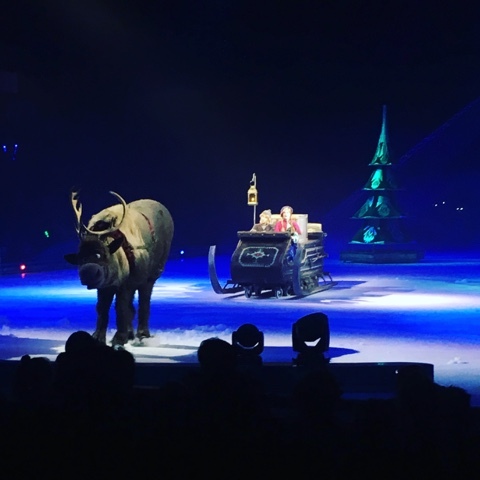 The show is touring the UK until the end of December and there are still tickets available, for more information visit the Disney on Ice website. 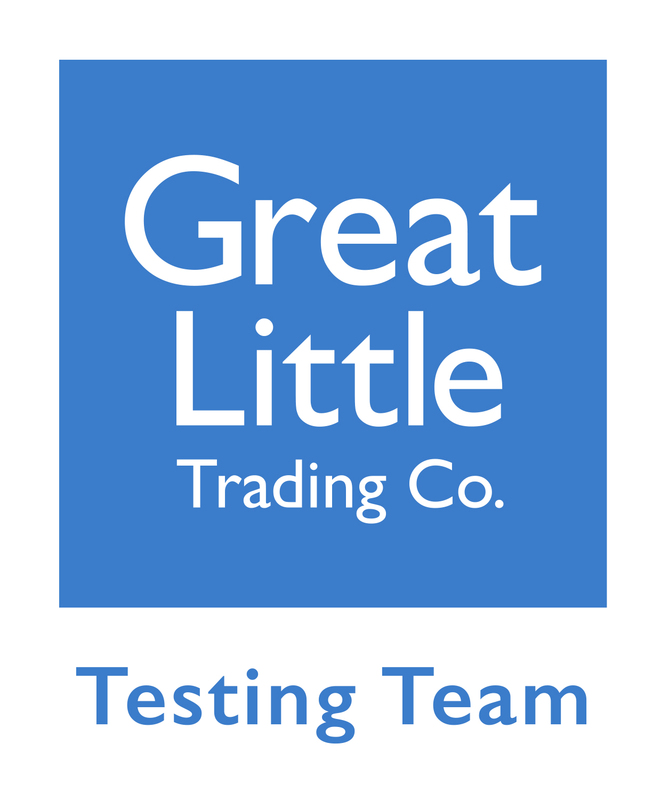 *This is a collaborative post. 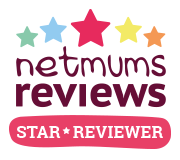 We were kindly provided with tickets to the show in exchange for an honest review.